Greetings frugal friends! This is Part 2 in our Frugal Homestead Series, which explores the finer points of how we’re going to reach our version of financial independence and move to a homestead in the woods in 2017 at the age of 33. Mrs. Frugalwoods and I plan to buy 20+ acres of wooded land, likely with an existing home and outbuildings, in rural southern Vermont. 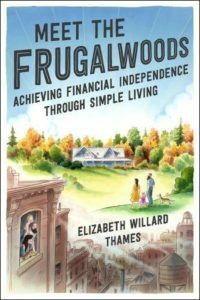 In The Frugal Homestead Series Part 1: Why The Woods?, Mrs. Frugalwoods discussed the origin of our homesteading aspirations and answered the question of what makes two young, urban hipsters who’ve lived their entire lives in cities and suburbs decide to up and move to a rural plot of land. If you haven’t read Part 1 yet, you might want to check that out first. Today in Part 2 of the series, I’m addressing our projected homestead income and expenses, and demonstrating our diversified plan for revenue generation starting in 2017 when we’re homesteading it up. Mrs. Frugalwoods and I made a decision early in our homestead planning process to not depend on farming-related income. Why? We’re not professional farmers, foresters, or ranchers. Neither of us grew up on a farm, has any agricultural economics training, or has ever worked on a farm. Basically, we have no idea what we’re doing. We can sail along on fine financial footing until one of our nascent ventures takes flight… or doesn’t. To give you a taste of those future ventures, they include such things as: woodworking, forestry management, and possibly a small-scale agricultural pursuit like artisanal mushrooms or some such. But, again, since we don’t need to churn a profit from any of these endeavors, the pressure is off while we work out the kinks. And, since we won’t be touching our savings or investments, we’ll have a sizable cushion against future emergencies or alterations to our vision. We’ll both be quitting our traditional 9-5 jobs before decamping to the homestead, so these revenue models are what help us sleep at night. For us, that’s what financial independence is all about: the freedom to pursue our varied interests without the need to make a full-time salary. So what’s the plan? Well, let’s begin with our expenses and anticipated revenue. 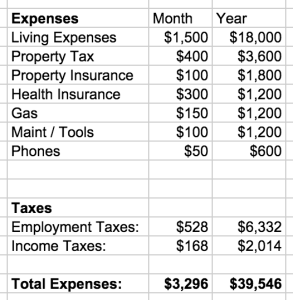 For the expenses section, we took into account expenses that we don’t currently pay in our city life. For example, on the homestead we’ll use more gas, buy more tools, and need to pay for ACA health insurance. 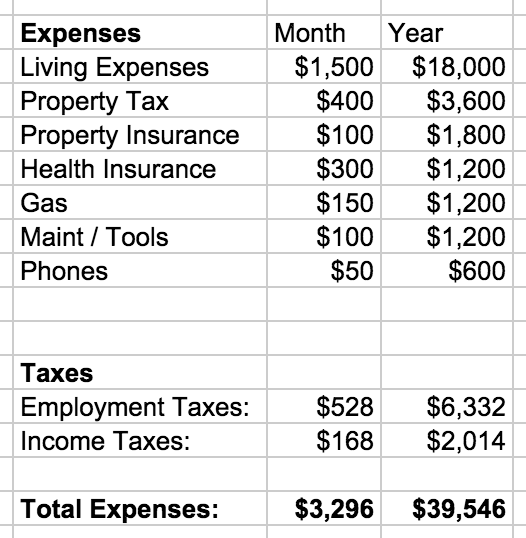 For reference, our living expenses (everything but the mortgage payment) in December 2014 were $1,640. But in October 2014, they were $995. In all of 2014, we averaged $1,300 per month of non-mortgage expenses. Did you catch the glaring omission in the homestead expenses category? Yep, rent/mortgage is missing because we intend to pay cash for the homestead property. If we can coerce a bank to finance at a decent rate, we’d certainly be open to it… but so far, banks have quoted us terrible rates (6%+). Since we have enough cash on hand to buy a property outright (thanks to our 71.4% savings rate), we’d rather pay cash than finance at an awful rate. Banks don’t like weird rural properties, and I’m sure you’re not at all surprised to hear that Mrs. FW and I only like the weird ones! Overall, this budget is looking good to us–we’ll be bringing in more than we’ll be spending, without touching a dime of our savings and investments. According to this budget, we’re even projected to save $10K/year, which is a fabulous buffer! Also note what’s not on the list: any income from our saved pre or post tax savings. The safest withdrawal rate of all is 0%, and that’s our current projection. Would you rent this room? 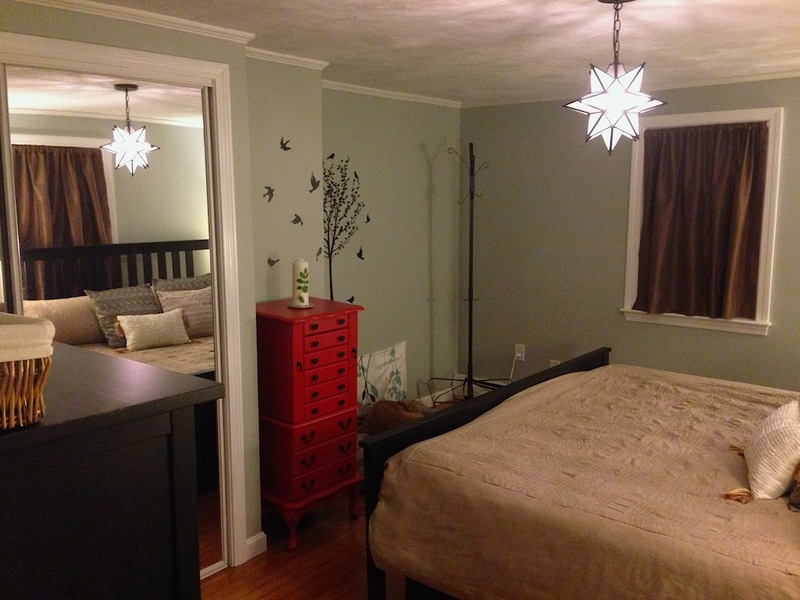 A major pillar of our homestead budget is the rental income from our current house in Cambridge, MA. When we bought the house in 2012, we had in mind that it would be an eventual rental. The location is ideal (walking distance to both Harvard and MIT) and it has 4 bedrooms plus two studies (could be 6 bedrooms for the non-discerning student). In other words, it’s perfect for the college town rental market! We project we’ll net $8,992 from this rental in 2017, which will be our first year on the homestead. All of these numbers are actually quite conservative. If we were to list this house on the rental market today, we’d ask $4,000/month and would likely get it. Rents in Cambridge have increased by 6% a year for the past several years and show no signs of slowing down. To give you a sense of just how robust the rental market is: 65.4% of the housing units in Cambridge are rented. The maintenance line item above is a complete hypothesis, but it seems reasonable. The house is rather simple and lacks complicated systems with the potential to break. It has no yard to maintain, a new roof, and invincible asbestos siding. The only system that’s on the elderly side is the boiler, but we’re told it’s in good condition for its age, plus the pumps are new. That vacancy rate line item is equal to 15 days per year for the property to be vacant. In reality, it’s very uncommon for decent properties in this area to be vacant for more than 1 day per year. In Cambridge, the standard move dates are move out on August 31 and move in on September 1. A note on returns: Mrs. FW and I put $60K down when we bought the house, so we’ll hopefully realize a 14% cash on cash return in our first year of landlording. If it turns out that we can achieve that rate of return consistently, the house will be worth keeping as a rental. If that rate of return is wildly over-optimistic, we’ll retain the option to sell the house without paying capital gains tax until 2020 since we’ll have lived in the house until 2017 (the capital gains tax exclusion applies to a home you’ve lived in for at least 2 of the last 5 years). Also, we fully recognize that a rental is not a truly passive income stream. Since we’ll be serving as property managers (and cleaners in between tenants), we anticipate needing to drive down to Cambridge periodically to fix and/or check on things. A yurt?! Well, we’re using “yurt” as a placeholder for “interesting AirBnB property on the homestead.” Yurt is just way more fun to say! We project we’ll net $22,077 from our AirBnB property. 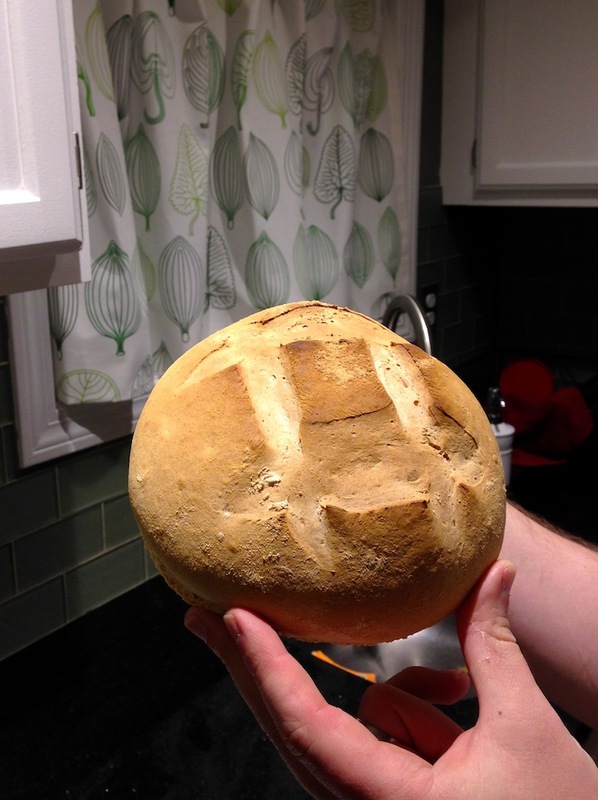 Homemade artisan boule for our guests, perhaps? Proximity to urban centers with wealthy travelers. 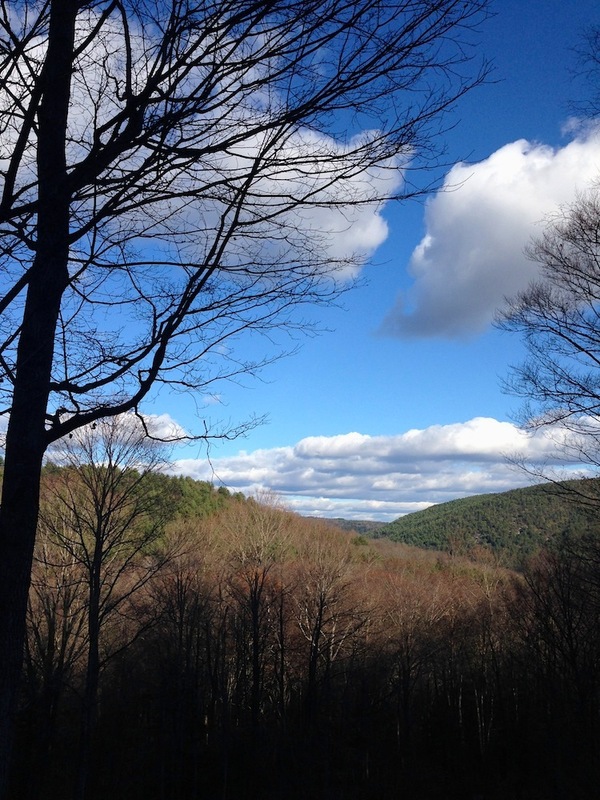 Southern Vermont is the beneficiary of tourists from both the Boston and NYC metro areas. In a region known for tourism. Southern Vermont is renowned for fall leaf peeping and apple picking, winter skiing, summer hiking, and spring maple syrup. There are also wineries, antique shops, and art galleries in the region. Useful location not too far off the beaten path. Our future homestead will likely be within 40 minutes of the nearest medium-sized town. A unique component that catches the eye while browsing AirBnB. Like a yurt with a complimentary greyhound! Generous service that anticipates guests’ needs and then gets out of their way. Homemade Frugalwoods bread, anyone? Coming up with this model was tons of fun. I programmatically scraped AirBnB for rentals in the southern Vermont region and built a database of properties and rates. I also collected utilization information using their unpublished (but fairly obvious) booking API. The revenue numbers above are a conservative guestimate for our future property. I was shocked at the relatively high rates of utilization (this is normalized over an entire year’s worth of data) and the going rates are actually higher than I’ve included here. Complimentary greyhound petting with every AirBnB stay! I’m theorizing there’ll be a ramp up period of 6 months to a year where we’ll need to compete more on price in order to obtain good reviews before we can raise prices to the going market rate. 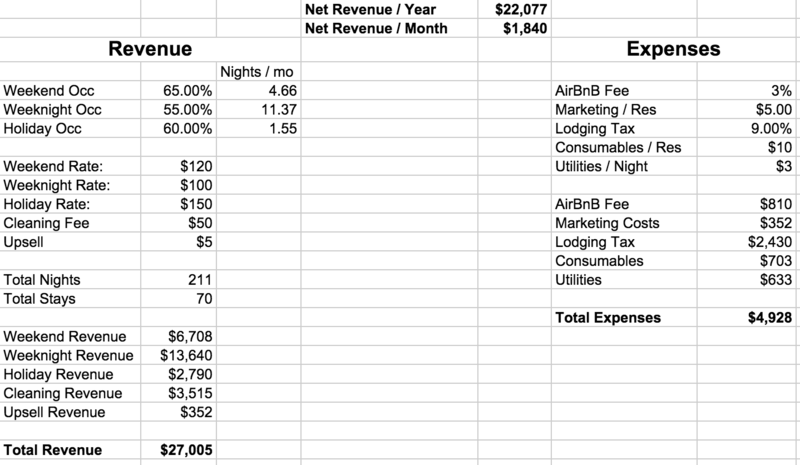 I’m currently tracking a few newer AirBnB properties that will hopefully help me quantify that startup period. The expenses for the yurt are a best guess. Who knows if most of those things are accurate, though I imagine the only way to really know is to do it for a year and track carefully. However, based on my research, I don’t think they’re perilously off base. Not included here is the cost of building the AirBnB property. That’s because the cost will vary dramatically based on what we have to work with on our future homestead. Some places we’ve looked at have a building that could work as a rental with very little renovation work. Other places, we’d need to build a yurt from scratch. Nice, large yurts run about $15,000, with probably another $10K for site work. We can put real numbers on this once we decide on a homestead property. But with a net revenue of $22K per year, I think we’ll see a decent return. 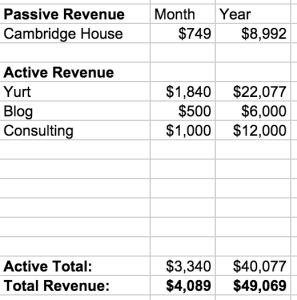 Blog revenue and consulting revenue are estimates at this stage of the game. I’d feel irresponsible if I didn’t project something here, but I have little basis for coming up with what a reasonable number will be in 2017. We project we’ll net $18,000 from the blog and consulting revenue. The blog currently brings in peanuts (Frugal Hound wishes they were literal peanuts!) since we’re not into plastering it with ads or selling a bunch of stuff we don’t believe in. I mean, this is a frugality blog after all! But, if Frugalwoods traffic continues to grow as it has over the past 9 months (thanks for reading!) the peanuts will likely grow commensurately. I’d be surprised if we weren’t making $500/month after 3 years of constant blogging and hustling. Mrs. Frugalwoods is also a freelance writer (you can hire her!) and her freelance income will be included in “blog revenue.” We’ll just have to see what comes our way! Consulting represents the likely long-term contract I’ll have with my current employer after I quit. I respect my employer and I’d never want to leave them in a lurch. Based on my institutional knowledge (the company is only 10 years old and I’ve been there for 8 of those years), I imagine they’ll want to pick my brain from time to time, and the consulting line item is a lowball stab at what that might look like. It’s quite likely that it’ll be (much) higher, but I like to remain conservative in all of these projections. 4) What About Our Savings and Investments? We have substantial savings and investments that we could live off of, but as this budget demonstrates, we don’t forecast needing to tap into those sources. Our investments will serve as a comfortable buffer in the fist few years as we figure out the vagarities of our budget and life on the homestead. The living expenses line item here is a generous rounding-up of our current monthly spending minus our mortgage+escrow payment. For our future homestead budget, I’m using that as a base and assuming we’ll spend more on the homestead. Some of that is obvious, like cell phones (our respective employers currently pay for them, and we’ll need to pay for them on the homestead). Same for health insurance (looks like we’ll qualify for ACA subsidies). But other additions are conjectures based upon the realities of living in a rural area. I’m assuming we’re going to spend $150 more in gas per month than we currently average. That’s a lot, but we don’t drive very much at present. I’m also going out on a limb (hah, forestry, get it?!) and figuring that we’ll need to buy additional tools and parts for the sundry projects we’ll have going. This will be more at the beginning as we build up our workshops, but I’m projecting it’ll average $100/month over the long term. Taxes are relatively straightforward assuming our revenue numbers are solid. Paying both sides of self-employment taxes is tough, and really dwarfs the actual income tax at the levels we’re expecting. Wouldn’t have surmised that without gaming it all out! If you couldn’t tell, Mrs. Frugalwoods and I are epic planners. These models have undergone countless revisions over the past few years, and I’m sure they’ll be revised many more times before we actually make our homestead move. I’m also certain that the reality of living on the homestead will only barely resemble the neatly organized categories and carefully projected totals that we have above. Despite their myriad imperfections, these models give us something to work off of, and a way to gauge our margin of safety. If we’re deviating significantly from this budget after a few years on the homestead, it’ll be a wakeup call for us to figure out new ways forward. And with that, I conclude the second part of the Frugal Homestead Series. Next up in the series: why did we choose Vermont? Want to make sure you’re among the first to receive Part 3 delivered hot and fresh to your email machine? 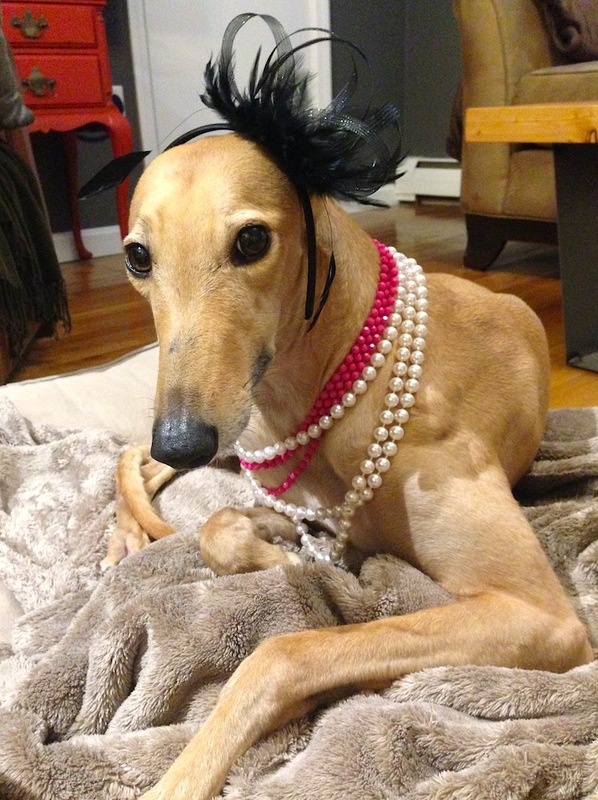 Sign-up in the Frugal Hound email box below and she’ll send you a message. Do you think our budget is reasonable? Are we missing anything major? Epic planners is right! I’m super curious as to what you plan on doing at the ripe age of 33 in deep woods of Vermont? Though I’d be your neighbor in a hot second, I’d need to work for my sanity! Oh we have tons of idea. Mrs. FW wants to write more. I’m an inveterate tinkerer with a laundry list of hobbies that I don’t have time for anymore but would love to pick up. Amateur radio, astronomy, woodworking, metalworking… the list goes on and on. Plus we both love to hike and be in the outdoors, and having the opportunity to start every day with a walk in the woods sounds pretty much like heaven! I appreciate your desire to get into more hobbies. I think about this, but consider what it would cost to start a new hobby – supplies, manhours for possibly little return, etc. Will you have a well on the new property so no water costs and do you need to purchase wood to heat the house? Hobby supplies will definitely cost something, but thankfully many of my hobbies lend themselves to DIY solutions. For example, grinding my own telescope mirrors. The mirror blanks aren’t expensive, just the many hours of careful grinding and measuring! I am thoroughly impressed with your analysis of rental and yurt incomes. There is something about a well defined spreadsheet that gets my blood flowing! Have you factored in any additional expenses for possible Frugal-children? I’m guessing healthcare costs may go up. Luckily most babies supplies you can get fairly cheap, but it still may add a chunk to the budget (no matter what I do, my son is not happy with sticks and rocks as toys!!!) . Kids will definitely change things. Though we’re well aware that raising kids in the city can be tremendously expensive. We’ve taken a cursory glance at daycare prices around here and the decent ones approach our mortgage… which is wild! Thinking about avoiding that expense makes homestead kids appear downright cheap! We are in a suburb of DC and two kids in daycare would be slightly more than our mortgage. Some of our friends do pay more than their mortgage. That’s why I decided to be a SAHD when our 2nd was born! I like your guys blog and plan. If your blog continues to grow/succeed it could act as a good advertisement for your Airbnb also. You could get a bunch of hipster FIRE weirdos who just want to meet you guys coming to visit. This is awesome and it’s so detail-oriented that I’m certain you guys will be set!! The only thing I would think would be different would be the “blog income” category 😉 Something tells me if you two keep this thing up you’ll be bringing in a LOT more than $500 per month!! Look at you guys and your fancy charts and graphs! I think it’s great that you’re buying your new property outright. I hope you find the perfect one! Healthcare is really a concern, even though we are particularly healthy. Anything that dramatically outpaces inflation scares the bejeezus out of me 🙂 But looking at the ACA subsidies I think we’ll be fine. This would have been much riskier even a few years ago, but I feel confident that the ACA is here to stay. This looks great – I think it will work! And one comment on the yurt. You missed a huge opportunity here to play games with your readers. You should have dropped that into the first spreadsheet and never mentioned it in this article again. When the inevitable questions started to pop up, you should have let the readers guess what it means. And kudos to data mining the airbnb API for occupancy data. I’ve always theorized about doing something like that to figure out best time to book an airbnb/plane ticket/hotel/cruise. Hah, good point on the yurt! It’s sort of a code word for us, and I figured why the heck not use the same thing on the blog. What will be really funny is if we end up getting a yurt after all! The one we stayed at near Charlottesville, VA was amazing… it really opened our eyes to how effective an AirBnB property could be. Do you guys plan on any extended travel? Thoughts on keeping the airbnb property rented and handling turnover while you’re on the road? That’s one hurdle I can’t get past in thinking about buying a local place to airbnb out (and our city council might be about to ban airbnb…). I don’t want to have to worry about someone else’s vacation while I’m on vacation. Oh, good question! 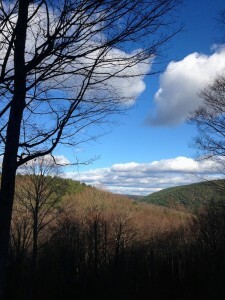 Our current plan is to get out of town during the only season in VT that isn’t beautiful: Mud Season (early spring). Tourism is low then anyway, so it would be no big loss. We’d hesitate to go anywhere long term in the winter, both because of the skiing tourists and because a power loss would require us to stoke the wood stove to keep things from freezing. Plus, I love the winter! Loving winter. Even now in the middle of it? That’s serious. You may want to get it looked at. 🙂 I bet you guys even have some snow up there already. I saw a flake today and almost decided it was cold enough to wear long pants! As engineers, I thought we were the pinnacle of analyzing (and over-analyzing in my case), but you have taken it to a whole new level! I’m also super impressed by the time you can devote to the research of rentals. Seems daunting to me. But then again I know that the reason I don’t have that kind of time is because I get to spend it loving on my minis. Contacts on a job well done! One other thought… If you project that you will not need to withdraw any money from savings (with a healthy buffer even), then why are you still talking about estimates and projections instead of real numbers? (except that you haven’t found the right property yet, of course) Why continue to work and achieve your incredible savings rate if you don’t need to rely on that income? 1) We haven’t found the right place yet. 2) While we feel confident in this model, we also want to have nearly a traditional early retirement savings as the ultimate runway. Maybe it takes us several years to get on-homestead income flowing. Maybe our cambridge house burns down. Who knows? But we really don’t want to have to go back to the corporate life, so we’re over-saving. 3) I have a contract with my employer through the end of 2016. While I could break it, I care about the work and my coworkers enough that I wouldn’t want to leave them in the lurch. They are also making it worth my while to stay. I love that you built a scraping algorithm- I did the same and built my own database for real estate in Raleigh; I probably should have just gotten my RE license and used the MLS, but it was a fun bit of learning for me. One quick note- if you are doing the nB part of BnB your consumables per reservation might be a bit low. Also, one question- are you intending on having rather high starting costs (other than purchasing your property?) due to renovations and customizations, or are you intending to buy a property that suits your needs off the bat? If its the former, would you do renovations while you’re still working, or once you decamp? I think that would be the hardest question for me to answer, because it makes a lot of sense to DIY on your work, but that slows down or eliminates your ability to generate revenue right off the bat. Yeah, the consumables is a complete guess. The typical AirBnBs that we’ve stayed at include a bit of locally inspire food in the fridge but not anything more than that. The last place I totalled it up and figured their food cost per reservation was around $4. We’ll see what we come up with. I love to bake bread, so that might be a natural and very low cost neat food to gift our guests. As to your final question… it depends on the situation. If we were to buy a property tomorrow, we’d have 2 years before we could occupy it. In order to make the holding costs worth it we’d need to be getting a screaming deal. But there are some circumstances where that would make sense. I have some renovation experience and enough enthusiasm to bull my way through most unknowns. I imagine we’ll end up buying a livable place with good bones and renovating it ourselves. Seems to be the best bang for the buck. Excellent planning Mr. & Mrs. Frugalwoods! I will offer some thoughts – being an age 50-something reader who thoroughly enjoys your blog and has “been there”… (pretend I’m your mother…LOL). My husband and I have always owned property, usually a few acres. A water source (pond or creek) has been of supreme importance to us (certainly when the power is out and the well-pump doesn’t work, at least you can collect water to flush toilets, also for gardening, fishing, ice skating, etc.). There are obviously ways to get around this (a generator), but I would highly recommend a property with water. Perhaps you may want to investigate solar or small wind-mill options at some point also. 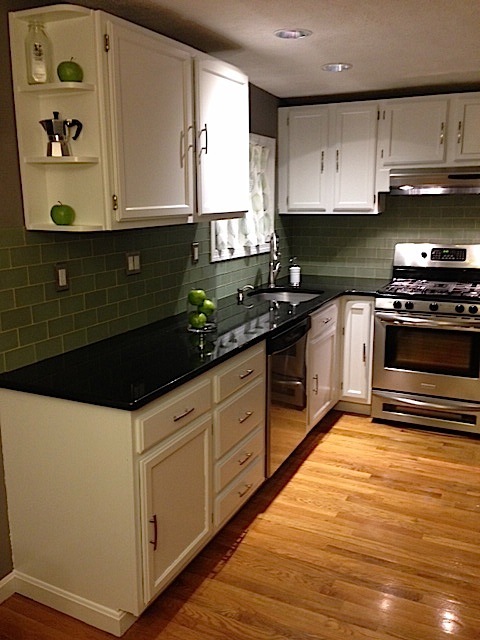 You have confirmed that Cambridge has your home zoned as Multi-Family or Rental? Mrs. SSC made this same point – health care costs for children, access to doctors, good schools (or home-schooling is always an excellent option). Many farmers will lease some of your land for their hay-fields, or other crop. This could be an income source, or a barter arrangement (perhaps they snow-plow in Winter, or will till your gardens, or they may grow vegetables to share, have fruit trees, etc. in exchange for use of your land). You mentioned purchasing a new vehicle once your Frugal Mobile needs replaced – A small, used pick-up truck (with or without a plow could be helpful). There are so many items you may need on your homestead: Chainsaw, other saws, shovels, rakes, riding tractor (or just plant meadows – hooray), generator, snow-blower, extension ladders, roto-tiller…I’m sure you get the idea! (of course, most of these items will be bought used. Optimum way of obtaining is ASK for “everything in the barn”, and garage, when you submit your purchase offer)! I have the humble opinion that your Maintenance/Tools/Home Repair numbers may be too low (from experience). So, the above are just some quick thoughts and in no way meant to be judgmental…just “helpful”, I hope. We’re currently living in Northern Worcester County, MA, not too far from you, and wish you both and Frugal Hound all the best! Right now, we’re dealing with frozen kitchen water-pipes in our 1803 built home! For JOY! We love water too! Thankfully the Vermont geography lends itself to plenty of water. I don’t think we’ve looked at a property without some sort of surface water… usually brooks. Our current house is a single family and is correctly zoned. 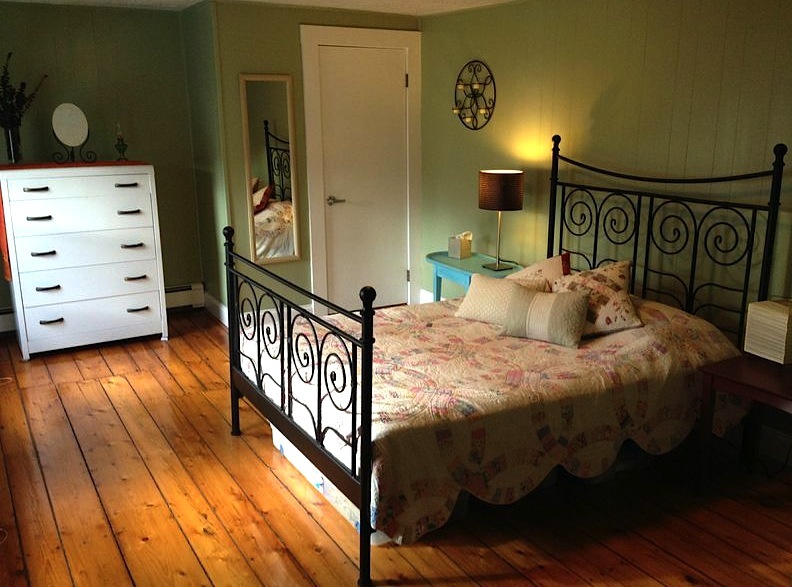 We’ll rent it out as a single unit, which conforms to the city ordinances around rentals. Thankfully the city is very rental friendly with over 60% of housing units in the city being rented. Access to schools is something we’ve been carefully researching. Thankfully many vermont towns still have a town school for k-8, but many of the places we’ve looked at would require a decent drive for high school. We figure that’s far enough away that we’ll cross that bridge when we come to it. I would certainly believe that the tools lineitem is too low 🙂 I am pretty handy though, and I have a knack for small engines. I forsee a lot of non-working tools being winter projects! Funny enough, we too had some frozen pipe issues last week when the temp dropped below 0. I’d love to have words with the person who thought putting pipes in exterior walls was a good idea 🙂 Thankfully we caught it early, before anything split. And now I have an insulation and heat tape project on my list! Thanks again for all your comments, I really appreciate you taking the time. Good luck with the pipes! I hope so! My welding hobby may also serve a similar role. I’m also looking to learn some basic machining skills as well, so hopefully I’ll be a ready and willing Mr. Fixit! For us, that’s what financial independence is all about: the freedom to pursue our varied interests without the need to make a full-time salary. Great statement, beats trying to define retirement and all of that. Just some experience over my 3 years as DIY property manager, I would start with a Maintenance/Emergency Fund for the house a full-year if possible($3600 to start) and while I agree with your vacancy idea of not having any since it’s a great area, I prefer to be even a little more conservative and say 1 month/8.3% for vacancies. (the capital gains tax exclusion applies to a home you’ve lived in for at least 2 of the last 5 years). I was just talking with Mrs. Even Steven about this if/when we make the move, I totally forgot about that, you just made my day, thank you! Oh yes, we’re carrying waaay more than needed in our taxable investment to cover any rental maintenance in the first year… or for many years to come 🙂 Just wanted to build that into the model for the long term. At some point (perhaps when you are on the property) you could share what amount you have saved. I understand your reason not to at this point. Finally, I love your blog, it’s incredibly inspiring and I’m rooting for the two of you!!! Thanks! Yeah, we’re slowly opening up our finances 🙂 I’m sure there will come a day when we’re completely transparent… we just need to ease into it. It’s not a natural thing to do! I love how detailed you are with this! I never really thought about how banks probably do not like rural places. That is something we will definitely have to keep in mind! Love the detail. Have you considered a website that has booking functionality for the Yurt? It will be an added expense but worth it. I agree with L.D that a higher budget for tools and upkeep may be required. Last week 2 belts went on our saw mill costing £50, then we needed to replace a hydraulic pipe on another machine and then buy fuel for the chainsaws- it soon adds up! I literally just yelled to Mrs. FW “Our commenters are so awesome! One of them has a sawmill!”. On the advice of many of you I think we’ll up our tools budget. See, this is why the internet is great! Thanks for the advice! I wonder if a credit union it local bank in the area you’re looking at property in would be more amenable to financing, knowing the area better and all. Thanks for the kind words! You’re welcome to visit the tundra anytime! Tried Brattleboro savings & loan? Not a credit union but a great option for my husband’s customers who are building log cabins, also a non traditional property. Good luck! You’re absolutely right on the expenses. We fully expect to be surprised, especially in the first year, which is why we’re building in so much of a buffer with our savings. Hah! I know you’re good for it. If it were me, I’d get more conservative/generous with your spending estimates (which you can do since you estimate $10k extra). I think (even after initial investment) that your maintenance numbers are likely too low; rural properties have a propensity for developing interesting problems that need cash investments 🙂 You also didn’t mention the likely need for a different vehicle; the FWmobile can’t last forever and especially not if you’re using it to deal with homesteading (you’re likely to want/need a truck.) Maybe that’s folded into something else but it’s one thing that stood out to me. I also wonder about the ACA subsidies. You’re so well-off (considering your investments/savings); do the formulas take existing wealth into account? Plus Mrs. SSC is right about baby/babies. It’s so much fun watching you plan! I can imagine how fun the research phase has been, too. Those are all fair points. Many are unknowable until we get out there, which is why we’re saving enough so that we don’t need to make any income from the homestead for a long time. I’ll surely get a truck, though likely a beater. The ACA subsidies so far don’t take into account wealth, only income. Anything could change in the future, but hopefully that will stay the case. If not, we’ll need to get creative. Wow! This looks like a well thought out plan. I’m super amazed that health insurance will only cost $300/month. 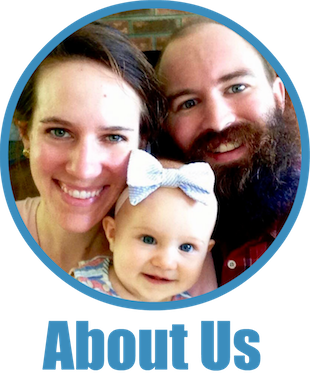 We pay $1200/month with the hubster’s work pitching in the rest (for a family of four). It will be fun to watch your homestead grow! That’s roughly the costs I’ve gamed out with the current ACA subsidies. We’ll see what the actual numbers turn out to be in a couple of years, but I hope it won’t be too far off. Healthcare is one of those terrifying expenses that can really ruin a budget in a hurry! I love all the detail. I’m sure it will be very successful and will work out and not work out in ways you never could have imagined! Are you planning on some livestock? My friend who is a semi-homesteader has dreams of having a yurt where people can come stay and milk a cow or gather fresh eggs. I can see city folks lapping that up! Thank you, Kim! Great question on the livestock–the answer is not at first. We want to spend at least a year becoming acclimated to life on the homestead, the seasons, the workload, etc, before we take on the responsibility of animals (other than Frugal Hound 🙂 ). We think we’ll probably have some animals in the future, chickens at the very least, but, we don’t want to jump into it too soon. It’ll also depend on the type of land we buy and whether or not there are grazing opportunities, etc. I realize I’m not contributing to the substantive aspects of the conversation, but COMPLIMENTARY GREYHOUND PETTING! 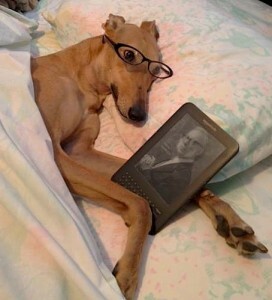 And the reading glasses with kindle picture and caption is hilarious. Our pets are so patient with us. Hahah, yes! I’m so glad someone noticed our AirBnB upsell plan ;). Frugal Hound loves having company over, so I’m sure she’ll be eager to meet any and all guests on the homestead. I love that reading glasses photo too–we just couldn’t resist! I love both where you’re going with this, and your optimism! You’ve most likely considered these, but i just want to offer up some thoughts, hopefully helpful. I see you have a line for “utilities” for the yurt, but i don’t see one for the homestead. I guess that would be for heat & electricity. Is there a line for liability insurance for the business? Will the insurance for the Cambridge house remain the same when it becomes a rental? you’re living out in the woods, mountains or desert. Cheers & wishes for a great new year! Thanks for the kind comments! Utilities for the homestead are included in the “living expenses” category. Of course they could turn out to be more… or less, depending on how much we can heat with wood and whether we go solar. Liability insurance for the business is a good question. That’s a bit of a grey area for AirBnB at the moment, but I hear they are about to start providing it. We’ll see. The Cambridge house insurance line is what I expect landlord insurance to be based upon some research I’ve done. Hard to know without getting quotes though. We’ve talked to a couple of local credit unions that are willing to finance these sorts of properties, but they need to charge rates that we’re unwilling to pay. I’d rather pay cash than pay 6% on a loan. Cheers to you as well! Thanks again for your advice, much appreciated! I was wondering, as someone else mentioned above, about increases in healthcare costs. Also, I know that you two are frugal, but living and working on a farm is TOUGH on clothes. You will definitely go through good boots, gloves and pants more quickly, so maybe budget a bit more for clothing? I ride horses and have spent a decent amount of time working on horse farms, and never cease to be amazed by how quickly I can go through good gloves, boots and such. We’re planning on healthcare continuing to get more expensive. Hopefully the ACA can slow that down, but I won’t hold my breathe! Good call on the clothes line item! We definitely are easier on clothes in the city than in the country. Our hiking clothes take a royal beating! We’ve had good luck buying solidly built pants and shirts at thrift stores, but boots are something that I’ve yet to find decent used. Very cool! As one half of an aspiring future back-to-the-land couple in our 20s I really appreciate the break down. What about internet service? I’m not positive about this, but fast (or any non-dial up) internet may be more expensive in a rural place. My husband lived about 5 miles outside of Blacksburg, VA (college town, not that rural) for awhile and his choices were dialup, satellite ($$$ for low bandwidth) or buying a smartphone and setting up a wifi hotspot with it for the house. He and housemates went with the latter for the best speed, but it was not cheap! Just a thought. We currently grow a reasonable amt of our food in our small city backyard. Cheaper than grocery store, but there are up front costs like gardening tools, seeds, buying onion/potato/garlic starts, building raised beds etc. I guess that fits into your “tools” and/or “monthly expenses” category? Good luck! It sounds like an exciting plan! Oh cool, neat to meet others with similar goals! Internet is a huge question mark. It’s integral to how we live our lives! I’ve spent a ton of time research internet options at various potential properties. Several local phone companies know me by name, from fielding friendly calls about service availability. The good news is that Vermont has made rural broadband a state priority. In the next couple of years I think we’ll see near 100% coverage, though some of that will be wireless LTE which is less than ideal. I’ll go through a lot of hassle to avoid satellite internet though, that stuff is pretty bad! Wow, first let me congratulate you for the progress of your projects. 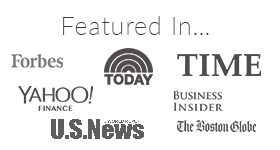 I have the thinking you guys will be more likely become a great real estate investor. Very inspiring, although you admit you have no idea on what you’re doing, at least the “number speaks” and this project is not a time and money wasting project. This will be a great achievement for both of you guys. Thanks Laurie! We’re definitely on the lookout for a package deal (I’m an inveterate bundler when it comes to negotiation!) and it seems like that’s decently common… especially with older folks downsizing. Very good point. I’ve been trying to collect useful skills, but we should do more in that department. I’ve become a decent welder, and I plan to take a basic forestry course. But some agriculture specific ones should also make the list. A lot of the extension courses I’ve seen have been geared towards commercial farming which doesn’t exactly match our goals… but would still probably prove useful. Will Bernie Sanders sleep in the yurt? Comrade Bernie is welcome any time. Wow, I like how you presented this as a thoroughly researched business plan, almost like we are all investors instead of just the nosy schlubs who read your blog. I think it is very very smart not to rely at all on farming/food production in this venture. It looks like you have built in a lot of room for failure, which is also very smart. I love how detailed all of this is and I’m looking forward to hearing more about your plans as you move forward! I do agree with others that the maintenance costs are probably low. I grew up in a rural area and still have a lot of rural family. The more land you have, the more projects you get into, and then the more things break. You also lose electricity a lot more and for a lot longer than in the city, which sounds romantic until you realize that the well won’t work without it. So you go through a lot of fuel for the generator. Or maybe this is all off grid? As someone mentioned above, getting Internet in rural areas can also be very expensive and difficult. Our families all either have dial-up or they use their phones for it, which requires a much more expensive phone plan. The internet is a good question, and something I’ve been doing a lot of research and legwork to figure out. Probably worthy of a post on it’s own… but suffice to say that it’s a challenge! It’s also funny how plenty of folks will look at you as if you are from mars when you ask about internet options at a rural property! I’ve discovered I can’t rely on the seller to know. I was just wondering, will you and Mr. Frugalwoods get lonely on the homestead by yourselves? Thanks for writing this blog. I am eager to read about your adventures once you get there! Very cool breakdown of your expected expenses. My only input is the projected revenue from the yurt. Although you’ve mentioned looking comparable Airbnb properties, I would be surprised if such a rural location yielded that much revenue. I’m an Airbnb host, and though my nightly rate is much lower than what you’re expecting for the yurt, I think you have to remember that you are more likely to experience many unoccupied nights during the winter. We were lucky and are currently hosting an academic from Russia for the month of January, but I was expecting our revenue to vastly decrease during this month. Anyway, just a few thoughts. I know you believe that your estimate is conservative, but I would advise you trying hosting in your current home first to get a good idea of what to expect (also, you can build up your personal reviews this way prior to listing the yurt). Hope this helps! I’m shocked at the utilization level as well. And honestly, the usage I saw in the data is higher than I’m projecting for our project. I don’t think there’s a way to really know until we’ve done it for a year or two and have real-world experience. Good idea on building the personal reviews before the homestead. Assuming we buy a property before we’re ready to leave Cambridge, our plan is to rent out the Cambridge place on the weekends while we’re staying at the VT homestead. Hopefully this will give us a good taste for the process, as well as some revenue! I was really excited to read this until I got to the part of the “yurt”. I said to my myself, What the f (expletive) is a yurt? I came close to Googleing it but I decided to keep reading and I’m glad I did! Anyway, great plan and wishes of great success to the two of you. Hahah, that’s awesome :). Thanks for your good wishes, I appreciate it! I LOVE THIS DETAIL!! I went through every line 🙂 Thanks for sharing. It seems like you two have really done some research to go along with your planning. I don’t have much input re homesteading, but I did think of two things relating to your future rentals. First, is the projected insurance amount for your current home is based off of what you are paying now? If it is, it will go down when it is a rental as you will only insuring the structure and not personal belongings. Your renter(s) will assume some of your risk and get rental insurance, which I suggest making a condition in their lease. As to your AirBnB rental, since you are a developer, you may want to create a website specifically for that property for information/booking and advertise on Craig’s List and maybe even have a page/link on Frugalwoods as well. I’m not sure how that will work in rural VT, but my family has done this with their property in HI. Although you would incur some fees for site ownership/admin, it might be offset by the cut you’d give to AirBnB. Also, another observation based on my experience in semi-rural Kentucky, your fuel estimate seems a bit low. I know you don’t drive much, but I’m assuming you will get a truck and possibly a tractor/bush hog thing-y as well. That will use more gas than your current vehicle for sure. Also, being in a more rural area will result in longer trips for groceries, doctors, anything requiring civilization. And generators are pretty useful for power outages as well. I also feel like some of your more conservative estimates in several categories will make up for unexpected/unforeseeable expenses in other areas. I really look forward to reading further installments in this series and wish you two the best of luck! The insurance is based on what we pay now, so I imagine it will go down some as well. We already carry a high-deductible policy though, so I don’t think it will go down that much. Though that would be a nice surprise! Good thought on the AirBnB rental site. I’m sure we’ll have a site for the rental, as well as repping it here on Frugalwoods. But for the actual booking… AirBnB is a killer deal. They only charge owners 3%, making most of their money off of fees charged to the renters. Yeah, fuel is probably low unless gas prices stay as low as they are now… wow! We’ll probably bump up that line item as well. I’m sure we’ll get a beater truck, but I hope we’ll be able to drive it sparingly. Frugal Hound is such a maven. I think this looks amazing. So thrilled for you. Totally want to visit the homestead in the fall. I’ve never been to Vermont! I like the idea of pricing the air bnb space low at first to get the positive reviews too. In the future you’ll need budget space for extra greyhounds 😉 and mini frugalwoods but given that your withdrawal rate is currently predicted to be 0% I think you’ll be fine there too. Fascinating entry. 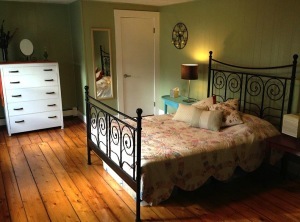 We stayed at a B&B in Brattleboro when Margie and I were married, and got a little jealous of the youthful innowners. It seemed like a nice, laidback lifestyle, but I know there was more going on than meets the eye to make it all run like clockwork. But they had four or five rooms, not a yurt. They’ve since sold the inn and gotten into the restaurant business (Whetstone Station). I’ve thought of rental apartments repeatedly over the years, but it’s that return on investment number that always ends up leaving me cold on the idea. Since I am debt averse, I would want to own the building outright, but by doing that, the ROI always drops to around 14% like you said. The best returns are had only when the purchase is mostly debt-financed. Then I take a look at the work involved, and think about the possible vacancies… and then I think about how I can steadily get over 11% at Lending Club by doing no work at all. I would consider AirB&B though. It would probably work better for us since we could rent out part of the house we’re in now. There are some updates we’d have to do first, but nothing we wouldn’t be doing otherwise. Oh, and is that Healthcare amount correct? I haven’t looked into the ACA exchange in New York, so I have no idea what the price is for a retired/unemployed person. But when I talk about early retirement, healthcare is the biggest worry for Margie, and I am clueless on that front. $300 a month would be great. Oh fun, we’ve gotten beers at Whetstone Station! They get the occasional keg of Hill Farmstead… which if you are a beer fan that’s something you’ve got to try. The healthcare lineitem is what I’ve estimated using VT’s current exchange and subsidy structure. With these revenue numbers we’re actually on the edge of making too much earned income to qualify for the nicest subsidies… so if we’ll have to closely track and see if it’s worth making a bit more income but then needing to pay much more for health insurance. It’s a puzzle, but I love puzzles! I live on a 15 acre property now and I love it. We aren’t homesteaders, but love our rural life. I actually have a creek on my property and while it is pretty and attracts a lot of wildlife (herons, ducks and beavers at the moment! ), I find it a bit of a hassle, to be honest. I have horses (not budget, frugal friendly creatures!) and the creek cuts across our property, slightly limiting my access to other fields. I need to get some tools and get to work on building a small bridge or two to increase our access. It is fine to access on foot, but tricky to get machinery and livestock across. If we’re anything, we’re over-planners! Funny enough about the creek, we saw a great property a while back that checked most of our boxes. But it had a deep gorge with a creek that separated the 1/4 of the place (with the house and driveway) from the bulk of the land. Other than hiking, there wasn’t much you could do with most of the land! 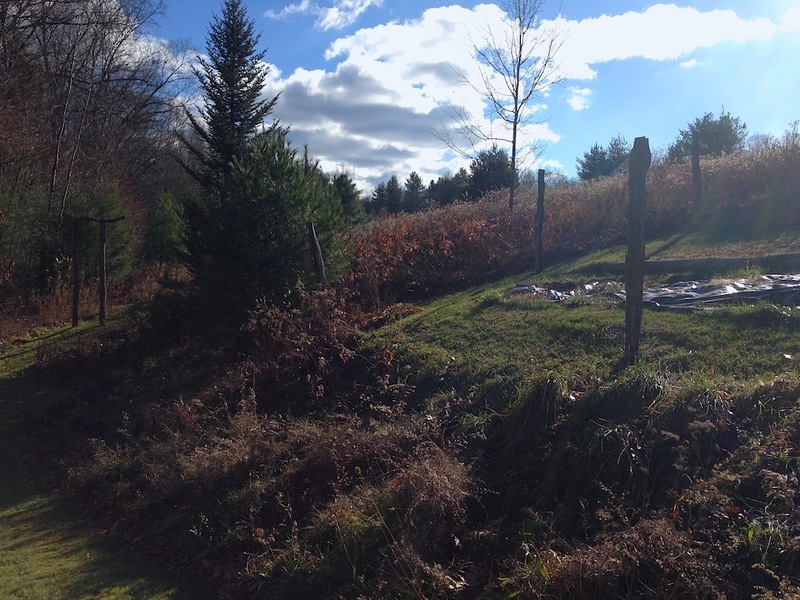 The remote side of the property also held significant timber value, but there was no way to get a skidder back there. Love the planning and would love to see you two constructing a yurt! We had a family friend build a yurt a few years back. I actually gave her my kitchen cabinets because I was upgrading my place to sell. My mom says the yurt looks fantastic! Best of luck to you guys and have fun planning! Oh neat! I imagine we’ll be looking for some second hand cabinets soon enough! Yurts definitely have a “wow” factor about them… which is something that we’re interested in for our eventual rental. Gotta catch the eye of the glamping Brooklynite somehow! How exciting to see all of this spreadsheet planning! Great research you’ve done. I can imagine it feels a tad vulnerable to put it all out there for strangers to analyze. So thank you for taking that chance and sharing all these details with us. I too am curious about the income and the savings you’ve acquired, but I understand that would be a huge step in sharing! Here are a couple books that I really enjoyed being a day dreaming homesteader (fascinated by the pioneer era). “Back to Basics: A Complete Guide to Traditional Skills,” Third Edition by Abigail R. Gehring. It’s kind of like a picture how to encyclopedia. Also, “Letters from a Woman Homesteader” and “Letters on an Elk Hunt” by Elinore Pruitt Stewart. This independent woman wrote letters to a friend back east, and they are so detailed and well written that the letters made up the chapters by themselves. She headed to WY in early 1900s with a young daughter to make a life for herself. If she could make do with as few resources as she had, anyone can make something today happen. I have stayed many a night in yurts! There are 4 rentable yurts in our local mountains (my friends own 3 of them!). They are mainly for winter backcountry skiing/snowshoeing trips as snow is the only drinking water. They are all a minimum of 5 miles in the mountains from a trailhead in the national forest. Wood stove, LED solar lights, skylight to the stars, peaceful. Thanks so much for the book recommendations! Our local librarian must know exactly what we’re planning… there’s been a steady stream of holds, requests, and inter-library over the past couple of years on somewhat esoteric homesteading books. I’ll add these to the list! I think your health insurance line item has a formula error? $300 a month but only $1,200 a year? I know this is nitpicking a single line item in this thorough analysis, but with your employer paying nothing wouldn’t you expect to pay more like $800 a month in premiums for 2 people, along with a very high deductible? I work in health care (speaking for myself not my company of course) and I really don’t think you’ll see $300 a month in premiums in 2017 in Massachusetts (I think that’s where your homestead will be?). If you were able to get 2 people at $300 a month, the out of pocket max would be something ridiculous like $12,000 with a deductible at the absolute least of $6,000, if not more. I’d budget health care at $1k a month minimum, if not more to be conservative. There really is nothing slowing down the increase in medical costs and premiums simply adjust over time to whatever medical costs are. Just a thought, again not trying to be nitpicky but hopefully my comments and maybe some additional research on your part will lead you to be more conservative on the health insurance & medical projection. After all, $1,200 a year (or even $3,600 a year) compared to $800×12=$9,600 a year is a huge difference year-over-year, and that doesn’t even factor in any medical costs into your budget, which can be massive if you require ER or a hospital stay. As a final note I should say even if you are healthy it’s easy to have an unexpected infection or surgery that maxes out your health insurance and costs you $10k+ if you have a high deductible plan (which pretty much all ACA plans are). Good call on the multiplication there, I’ll have to go back and fix that! I don’t know about the MA ACA plans, but I’ve done the numbers and used the online tools for Vermont’s ACA and if we were buying insurance this year, with the numbers above, we’d pay $260/mo for a silver level plan with: $1900 deductible, 40% coinsurance, and a family out of pocket max of $5,150. I’m assuming it will be more expensive in a couple of years, but hopefully still in the same neighborhood. Health insurance is age rated, with the oldest paying 3x the youngest. Your health insurance expenses will eventually triple. Look at what 64 year olds (pre-Medicare) vs 27 year olds are paying today. I hate to say this, but by making yourselves poor, you will qualify for subsidies, which may offset some of these costs. But, if you continued to earn the incomes you do today, you should expect premiums to triple as you age – and that’s not counting medical inflation, which outpaces consumer inflation. I don’t have any feedback on the details, only to not overthink it and kill the dream. The advice you’ve gotten up thread is certainly sound, but accept that making the jump SHOULD be a little bit scary/unknown. That’s what makes it fun! I’m a lot more of a fly by the seat of my pants type of person when it comes to planning for hypothetical futures. I’m a weird hybrid of the two types of people: I love to plan things out very carefully (obviously!) but I also don’t mind when plans change at the last minute or numbers don’t work out the way I’d projected. Fascinating and thank you for finally divulging some of the info! I could comment on all sorts of things, but my favourite part is where you scraped Airbnb and unearthed their API!!! Amazing. Also, I am astounded at those occupancy rates. As soon as I saw them, I was all “no way, those are way too high assumptions.” But then, you had data! I am obsessed with the concept and potential of Airbnb, but alas cannot put it to the test here. 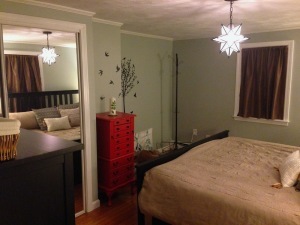 I have a ton more Airbnb posts, for both hosts and travelers, in the works. Things like the homemade bread are absolutely perfect! Oh fun, I look forward to your posts! Also solar oven… another thing I desperately wish to own… that doesn’t do very well on a condo balcony, heh. Love seeing those numbers that you have crunched. That’s definitely a lot of planning and making sure you are on track. I’m inspired, I need to run this kind of number crunching myself too. I’ve done a few portfolio loans with decent rates. 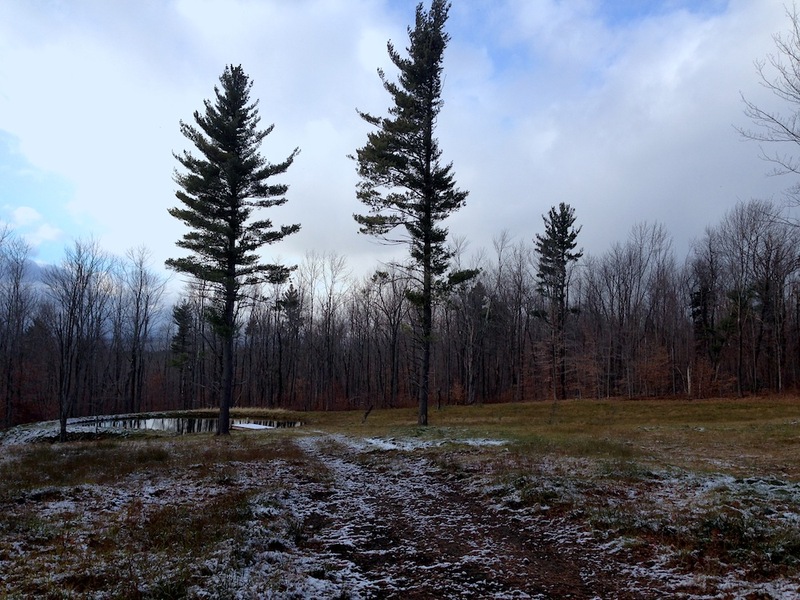 5 acres in upper peninsula michigan on lake superior for 4.15%. The “homestead” we are going to FIRE to this Fall is about an hour from the acreage and it’s over an acre on the lake as well, but it had a cottage on it in such poor condition that the best rate I could get in 2011 was 5.75%. We just paid off that note so we could drop the absurd insurance policy. All the value was in the land, but we were still being forced to pay high insurance because it was a second home, not a principal residence and the mortgager certainly overvalued the structure. Cash may indeed be the best way to go…besides closings can be done with a lawyer for a small fee, no inspection or appraisal required (unless you want it) and the lack of paperwork is mind-blowing. Five or six pages for transferring deed. We’re at least approaching the search with the idea that paying cash is possible. If I can find a good finance deal once we have a property we’re pursuing… then great. But we’re not tied to the idea, which gives us a lot of flexibility. any reason why some of your monthly expenses x 12 = what you would expect for a year (e.g $1500 x 12 = $18000) and others don’t like $400/month in property tax not equaling $3600/year or $100/month in property insurance not equaling $1800/year? Just curious. Yeah, that image was a little off when I added it to the post. The perils of having a living, changing plan while writing a blog post! I’ll whip up another image with current thinking soon. I live in an extremely expensive state, and am blown away by your numbers even conservatively. $50 per month for health insurance for two people? We pay far more than that even with a generous package from our employment. Same with property insurance, a very low estimate, especially if you have people staying there you need an umbrella policy to cover yourselves. Plus something else to consider you can’t control would be guest water use, electricity, food, etc. not being a downer, just would hate to see your dreams cut short. Hi K! We’re actually budgeting $300/mo for ACA healthcare, though from using the calculators so far it looks like we’d come in significantly under that amount. I always like to budget conservatively though! Insurance is less expensive when you have super high deductibles and self insure for anything less than a total loss. Guest water use hopefully won’t be an issue since we’ll most likely be on a well and thus not paying per unit of water. But thanks for your critiques, we’re trying very hard to go into this with open eyes and we’re telling the internet about it precisely so that people can comment with their thoughts and experiences. Your grayhound is broken, it’s not gray. Hahah! 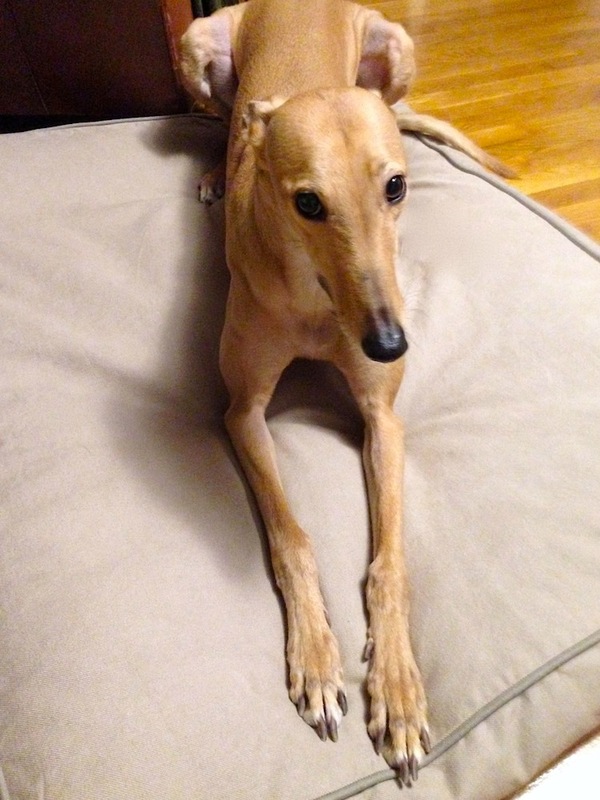 Greyhounds actually come in about 15 different colors–Frugal Hound is a red fawn. But the actual grey hounds are stunning to behold! They’re almost a silverly blue. It’s a gorgeous color! Just discovered the blog, very interested in watching you develop your homestead. I actually have some misc advice for you about how to generate some income (related to agriculture). I will say though that I would be worried about some of your projection rates. Vacancy rate is very low — You don’t talk about the taxes of net? What about the depreciation of non-land based property? What about LLC and increase in insurance rate? Does your mortgage have a rider clause that will be revoked if you treat it as commercial? 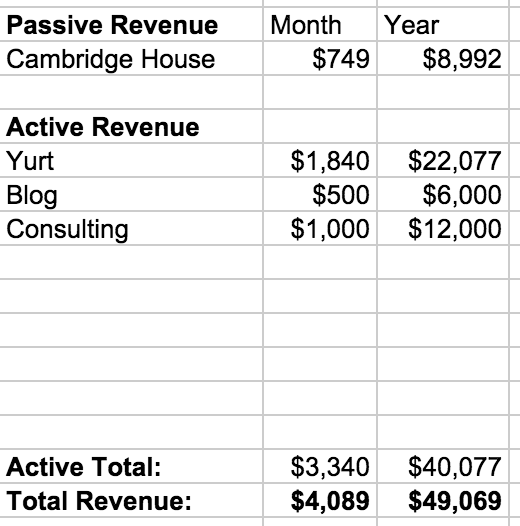 Depreciation of the “yurt” is an interesting question. Something we’ll need to figure out (I imagine I will gather up all my tax questions about this venture and get a CPA to look over and advise at the outset). We probably won’t do an LLC, at least in the beginning. From what I understand they don’t actually protect a sole proprietor that much and there’s a legal burden to maintain them. We’ll probably get some sort of umbrella insurance to cover us above and beyond homeowners and landlord insurance. Home insurance for the airbnb property is an open question. The vast majority of AirBnB people don’t have anything special and are technically in violation of their insurance. I’ve given specialty airbnb friendly insurance a cursory glance and didn’t find anything that seemed like it made sense. I’ve heard AirBnB is working on a solution for this themselves, so maybe it will be a solved problem in a couple of years when we make the jump. I love all of your ideas and the way you write. Great job of pre planning retirement and future life in the woods. We moved away from Philly 9 years ago and now live in the middle of the Allegheny National Forest on 7 acres of farm/wood land. Life couldn’t be better. We are much older than you and wish we had moved 10 or 20 years ago when we were much younger and full of energy. The only thing we have difficulty with is internet service, some days it works and other well I hope I can post this comment today and not a week from now. You seem to have all your bases covered , think about what happens if you get injured and can’t do all you plan. Things happen in the woods you can’t anticipate and may not fully recover from. Have a plan B. or even C. I look forward to reading about your future adventures and seeing pictures of my home state! both my parents are New Englanders and I love Vermont, New Hampture Maine and Mass. Good Luck and God Bless you and your peeps. Thanks for putting up your plans and I wish you all the best in achieving them. It’s great to see people reject the unthinking consumerism of our society and make such conscious, levelheaded decisions about what makes them happy. 1. I think you would find it helpful to talk to some actual retired people and see what their budget consists of. You’ve demonstrated a real frugality so don’t feel constrained by the choices of others, but in some cases your projections may trip you up without such a “reality check”. For example, I don’t think the health care numbers you display are adequate for coverage as you get older. My plan’s cost is significantly more than your entire budget (which might be partially due to some bad math : your spreadsheet has $300 per month equaling $1,200 per year : that’s just wrong); and that’s before the deductibles I have to pay out of pocket. So I think your cost reflects a low level of medical costs – the kind that comes from good health. Unfortunately some health issues creep up on you as you get older. Another area that I think your budget is light on is your vehicle costs. You don’t show any auto insurance, or the every now and then cost of a replacement car, and perhaps not enough for vehicle maintenance. I pay about $1,000 per year for the minimum PL&PD with a good driving record. It averages about $400 per year to maintain my 15 year old car, and I only drive about 6,000 miles per year. Things like rusted out gas lines, etc pop up and need to be paid for. I’m sure that you can do some of the work yourself, now when your’re young; but you need to consider that you won’t always be so capable. I’m trying to find where you talk about how much you’ll have in savings before you do this? I’m curious what you think is a reasonable amount seeing that you will most likely not have to live off your savings for a long time. But what is enough? And do you count on social security later in life? Won’t that be effected by not working longer? Love your plans & ideas. This is a great blog! I havent had that team mate like the 2 of you have that is willing to be frugal. I may find someone like that one day. Like you said its all about priorities and designing the life you want. I live very frugally but am stuck paying high rent right now that’s killing me due to having my elderly mom with me and needing to be close to Dr’s and have easy living quarters. In a year or so I’ll be able to buy something and that will reduce outgoing exp quite a bit b/c it won’t be a big place. Any feedback or ideas for me? Lots of great ideas and plans. DH and I lived in the country for 2 years when we were first married, but we were not FI and left for careers. It was a good decision and we still go back to our place for vacations, but it would be nice to live there now and enjoy it daily like you’ll be doing (our business turned out to be a success and we’re not ready to leave it). I’m sure there will be lots of things that don’t even come close to your expectations, but isn’t that true of every aspect of life? And it does keep things interesting as well as keeping your brain functioning at top performance. Because both of you are such excellent planners it seems to me that even with bumps in the road you’ll be enjoying the ride all the way. Good luck and have fun!! We had a cottage on a lake in NH (right on the VT border) when I was growing up in MA and we’d spend all summer there. The only thing I can think of that was much more expensive up there was food. There were no discount grocery stores, and the local chain was pricey compared to what we spent in MA. I can remember bringing food up in a cooler when we’d go up there because it was much cheaper in MA. Maybe you’ve already budgeted for this though in the living expense category. I know this is a super old post and quite possibly you’ve already adjusted your real estate investment activities, but I’m a real estate investor with a medium term plan to retire to a farmstead in southern Maine or rural central Pennsylvania. Your real estate numbers seem not-too-conservative (on average) for my liking. Based on my calculations, your Cambridge property still cash flows, but at a rate of about $450/month (assuming $4k/month rent). I can share my spreadsheet for property returns if you’d like so you can see how I arrived at my conclusion. I would love to see a post on how you have gone about renting your Cambridge home. I am thinking of renting our house and have no idea where to start. Where did you even start? I recently stumbled across your blog, as my partner and I are considering a very similar lifestyle change. Combing back through your older posts, I was really interested to read about all the planning that came before your eventual land purchase and move. I’d be really curious to read a before/after comparison of the projections in this article with what your projections look like now. Have you done a post like that already? Hi there! Wow, I have read your book (so, so good and inspiring!! ), gone through the blog archives, and am so glad I discovered you as a 24 year old! You are really out there living my dreams and I want to be, too! I have a few questions though, because after reading Collin’s book, too, and diving into other forums about index funds and saving, I’m curious to know how you divided your income throughout your portfolio. It is amazing you have saved so much of your income, but what percentage went to liquid assets? To your index funds? IRA’s? I’d love to reach a similar place financially but am still unsure about what percentage to put in each facet of my portfolio in order to get there. I am self employed as a photographer, so I do not have a 401k through an employer and am thinking of setting up a traditional IRA soon (good move? still not sure). Not to mention I would love to buy a house soon, too, and also wonder how you saved so much in your personal accounts to where you could potentially pay for a place in cash while continuing to put funds into your investments. Help! And thanks!